In a recent Georgia car crash decision regarding a woman who was incapacitated by her injuries arising out of a car accident, the court considered whether she could sue the City for allowing large trees to grow on city property and obscure the line of sight of oncoming cars. She was trying to make a left turn at an intersection when her car was hit. The intersection was of a two-lane public road and a four-lane road divided by a median. The intersection was controlled by a stop sign at a three-way T intersection. Drivers on one road trying to access the other needed to stop at the sign and travel across two northbound lanes of the other road when turning left. There were two big oak trees to the left of a driver trying to turn left. The driver looking left at the northbound lanes would have his vision partially or fully obstructed by the oaks. There were two blind spots from this direction. Northbound drivers would also have difficulty observing stopped cars at the intersection, due to the trees. On the day of the accident, the woman was trying to make a left turn. As she moved across the northbound lanes, her car was hit on the driver's side by a pick-up truck driven by an officer. Her car was shoved into a utility pole. She suffered a brain injury due to the accident and wasn't able to explain what happened. Other witnesses were interviewed, including the officer and his passenger, another officer. The officer who was driving said he didn't see the woman in the intersection until just before crashing into her. However, witnesses thought he was speeding and weaving through traffic, and this might be why he didn't see her. His air bag module showed that right before being deployed, he was going 59 mph, and the speed limit in that location was 40 mph.Witnesses also said they saw the woman stop before going into the intersection. One said it seemed like the woman was searching for oncoming traffic. Due to witness accounts, an officer determined in his report that she stopped where the roads intersected. An accident reconstructionist said that in order to get a totally unobstructed view in that intersection, a driver had to go past the stop line and into the traffic. The case was not about the Officer's decisions, but rather about the line of sight issues. Her conservator and guardian sued the Mayor and Alderman of the city, arguing that they'd acted negligently and caused a nuisance by permitting the line of sight of drivers going into an intersection to be hidden by two large trees. One of these was located on the city's right of way. The city asked for summary judgment on the basis of sovereign immunity. They also argued the acts weren't enough to constitute a nuisance, their actions weren't the legal cause of the accident, and they were barred by the doctrine of avoidable consequences. 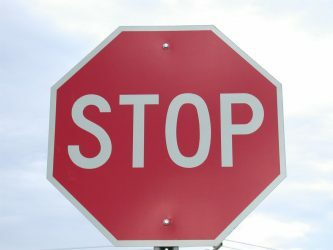 The city's motion was granted with regard to the plaintiffs' claim based on the negligent positioning of the stop bar. However, the court denied the motion to the extent that the plaintiffs' negligence and nuisance causes of actions arose from the tree hiding the line of sight. The city asked the appellate court to review. It explained that municipalities have sovereign immunity under Article IX, Section II, Paragraph IX of the Georgia Constitution, except when immunity is waived. Immunity is also provided by OCGA § 36-33-1 (a). There is a narrow waiver for municipal corporations that neglect to perform or improperly perform ministerial duties. The court said one municipal duty is to maintain city streets in a reasonably safe condition for travel. The city's liability for defects in a public road is limited by statute, as described in OCGA § 32-4-93 (a). The city isn't liable if it hasn't been negligent in constructing or maintaining public roads, if it doesn't have actual notice of a defect, or if the defect hasn't been there long enough for notice to be inferred. The appellate court reasoned that visual obstructions could be a factor in making a road dangerous, but a city would only be liable in that situation if it had actual or constructive notice of the problem. How long a defect has to exist for notice to arise is a jury question. It found the negligence and nuisance claims weren't barred by sovereign immunity.For these and other reasons, the judgment was affirmed.The Athens car accident attorneys at Christopher Simon Attorney at Law have substantial experience and are ready to help you with your possible case. Feel free to contact us for a complimentary case consultation if you are interested in learning more about the difficulties you may encounter and the options you may have.